Reducing your carbon footprint doesn’t have to be hard. These 10 tips will help you reduce your energy usage and save some money along the way. Shrinking your carbon footprint and saving money on utilities doesn’t have to be hard or time-consuming. 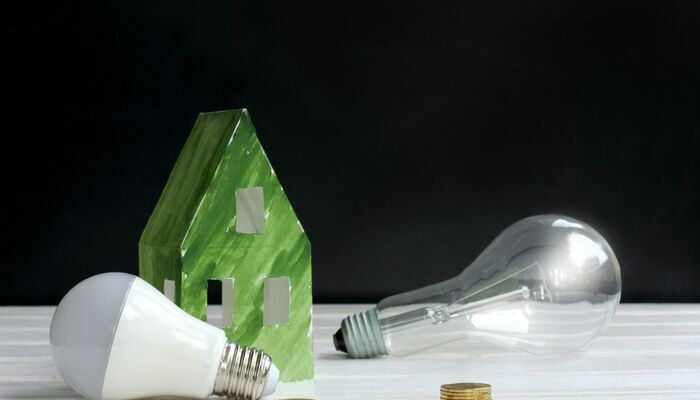 Whether you’re in it for the environment, money, or both, you can become more energy efficient with just a few small habit changes and apartment upgrades. Check out these 10 suggestions to get you started. 1. Insulate your windows and outside doors. If your outside doors and windows are very drafty you can bring it up to property management and have a maintenance technician take a look, but otherwise an inexpensive draft stopper or rolled up towel can do wonders with heating and cooling costs. 2. Pack the fridge and freezer. Both the refrigerator and freezer work best and most efficiently when they’re full. If you have problems keeping them full without wasting food you can keep ice and water in the back then put the produce in front of it, plus then you’ll have cold water and ice handy at all times! 3. Optimize your laundry. Unless absolutely necessary always wash clothes in cold water. Also make sure to only wash and dry full loads (yes, that means you can put off doing the laundry longer!) to not waste water or electricity. Another important step to remember is to always clean the lint trap before drying each load. 4. Adjust and program the thermostat. There’s no need to heat or cool an empty apartment, so a simple trick to save energy is to program your thermostat so that your heat or A/C isn’t running while you’re not home. Set it to turn off while you’re gone, then turn back on 30-45 minutes before you typically get back and you’ll never even know it wasn’t running. 5. Save water whenever possible. This is one of the easiest ways to save some money if you pay for utilities. Not only will you save on your water bill, but if you’re using less hot water you’ll also save on the gas or electric that your hot water heater uses. Take shorter showers, use the energy-saving feature on your dishwasher (and only wash full loads), scrape your dishes clean instead of rinsing them, and like we mentioned before, only wash your clothes with cold water. 6. Utilize your property maintenance. One great thing about renting is that you don’t have to make repairs yourself. Make sure you’re notifying property management whenever you have a leaky faucet or running toilet so they can come fix it and save you wasted water. 7. Change out your light bulbs. On average about 5% of the average American household’s energy budget is lighting. You can obviously help this by turning off the lights you’re not using, but you can also swap out your current bulbs with more energy efficient ones. They may cost a bit more up front, but they’ll save you money in the long run. 8. Use (or don’t use) drapes. As you know, the sun produces heat. You can use that knowledge to make your apartment more energy efficient with drapes. In the summer when you want to keep your apartment cooler close the drapes during the day to keep the sun’s heat out, and inversely in the winter leave them open to welcome in that warm sunshine. 9. Arrange your furniture intelligently. This is more than just for a “Feng Shui” flow of an apartment; if you think about where your furniture goes you can also save energy and money. For example, don’t block any air vents. If you instead arrange furniture to promote airflow your A/C and heater won’t have to work as hard to cool or heat the entire room. 10. Be more green. Obviously, all these steps lead to a “greener” living situation, but if you take it a step further and purchase reusable items and grow your own veggies and herbs you can help the environment even further. If you want some tips on apartment gardening check out our previous blog here.